I titled today with the French name (soft “g” please!) because English speakers tend to say “page twenty-four”. According to brewer and owner Stephane (along with brother Vincent) the name is a nod to their cycle of 24 hour brews- where they make several batches of the same beer around the clock to fill the fermenters, and the stop for a day or two. 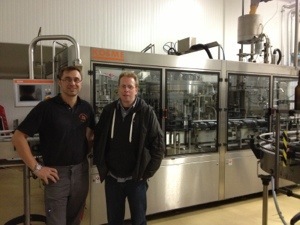 Stephane is pictured here with my dear friend Yvan de Baets from Brasserie de la Senne who drove over from Brussels to join me on the tour. Afterwards, on to the famous La Capsule for a few beers in Lille. 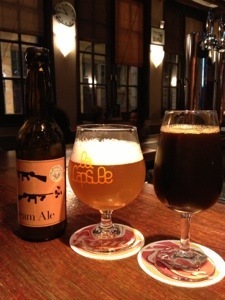 There were three French beers au fût, along with some stunning one-offs from around the world. Wow! My weakness is the same in every language- merci!